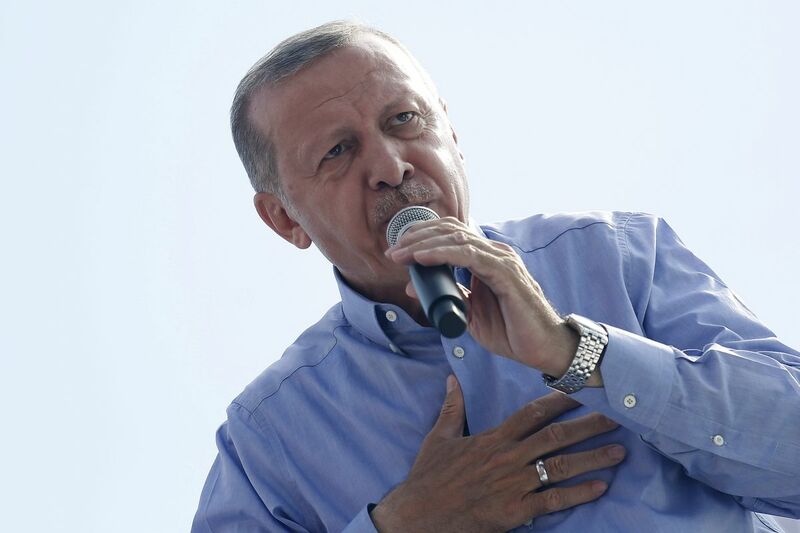 WITH THE March elections around the corner, trust politicians to play mind games and this time it’s none other than President Recep Tayyip Erdogan himself. The latest stunt by the president is his call for a Parliamentary vote on the takeover of the Turkiye Is Bankasi A.S (İş Bank). This is not the first time Erdogan has made such a call. Local elections will be held on March 31 in Turkey. Following his comments, opposition party Republican People’s Party (CHP) did not mince its words in criticizing Erdogan’s selfish call. CHP partly owns the bank. After Erdogan’s comments on desiring the bank to be part of the Treasury, the share price of the bank dropped. Erdogan made his comments at the AK Party caucus held in the Turkish capital city of Ankara on Tuesday. After his call, Erdoğan stirred heated debate in both the CHP and economic circles of Turkey. Muharrem Erkek, CHP’s deputy chairman, reacted to Erdogan’s suggestion by harshly using a Turkish idiom: “The water of the water pump must be finished, they are trying to transfer İşbank to a wealth fund.” He reminded all that AK Party’s economic policies brought Turkey one of its historical recessions. Erkek rebuked that seizing İşbank shares was unlawful, according to both the constitution and proprietary rights, and was also disrespectful to Atatürk’s will. “They want to transfer the shares of İşbank to treasury and from there on to the Wealth Fund, then off to Qataris. In order to get high-interest rate credit, they want to make İşbank a guarantee. We will do everything to resist it,” said a defiant Erkek. Erdogan’s call has largely been viewed in most Turkish circles as not helping an economy that is not only failing to grow but seemingly getting worse by the day. The President’s comments are also viewed by critics as bringing more turmoil to an economy that is not helped by a weak currency that ranks among the world’s worst performers. After his call, shares of İşbankası A.Ş fell by almost seven percent, this was the most serious decline since a market rout of August 2018. As CHP doesn’t get any dividends from its 28% stake in İşbank. Erdogan accuses the bank as being exploiting the memory of Turkish founder, Mustafa Kemal Ataturk. Ataturk inherited Isbankasi A.S shares to CHP in his own will. Previously the lender has said any effort to nationalize it would amount to financial crime. The CHP has resisted Erdogan’s demands to give up its stake in the lender and its four seats on the board. Meanwhile, Isbankası A.Ş pension fund holds 40% of the lender, which has a market value of about 24.5 billion Liras ($4.7 billion) – about 70% of the 32% free float is held by foreign investors. Erdogan has repeatedly criticized the CHP for its shareholding, granted by Atatürk. When Erdogan spoke about İşbankası sharers in September, Turkey’s Lira had weakened by two percent and İşbank shares fell sharply.